When mining trucks and steep winding access roads meet, more emphasis must be placed on safety. Around the world, mining companies face enormous time and financial pressures to get the natural resources out of the ground. If a truck tips over on the way from the mining site to the processing plant, the consequences can be serious. With today’s technology, that kind of mistake is preventable at the engineering and design stage. Vale S/A is one of the biggest mining companies in the world and operates several mines in Minas Gerais in the eastern part of Brazil. In addition to iron ore, it has nickel, copper, coal and manganese mines throughout the country. With hundreds of trucks making trips to the various mines daily, the route they take must be planned carefully and Vale S/A relies on AutoTURN to plan the vehicle paths. The engineers and planners need to know how vehicles like the Mercedes 6×4 truck loaded with iron ore will behave when faced with sharp turns and changing terrain. As one of the BRIC nations (Brazil, Russia, India, China) leading the world in economic production, Brazil is developing its natural resources to fuel its growth. With wind turbines in the northeastern states and coffee, soy bean, citrus plantations and beef ranches in the south, Brazil has a variety of resources to sell to the world. In Minas Gerais, the fourth largest state in the country, the mountains and valleys are rich with iron ore deposits, which fuel the steel mills further to the south of the capital of Belo Horizonte. With dozens of mines in the area, big mining trucks are a very common sight on the roads. Roads are built based on the kinds of trucks, like articulated dump trucks, needed for the mining operations and keeping them safe is an important job for the trucking companies. One of the country’s oldest ore deposits is located at the Itabiritos Peak Complex, consisting of the Chicken Coop, Pico and Sapecado iron ore mines. According to Antônio Carlos De Miranda Francisco, one of Vale S/A’s production engineers who help design access roads for the mines, there are many years left of production at the site. Mr. Francisco began using AutoTURN in 2013 to perform investigative analysis when a Mercedes Benz 6×4 truck tipped over leaving the Itabiritos Pico mine area. The accident occurred at night, when the operator of the truck entered a roundabout too fast where the maximum recommended speed is 17 kilometres per hour or less. In addition to the roundabout investigation, he has used AutoTURN to plan roads around the Itabiritos Peak Complex. Mining companies in Brazil must follow guidelines from the Ministry of Labour and Employment, including NR-022. This guideline states that the minimum width of lanes in open cast mines should be twice the width of the largest vehicle used in single lane roads and three times greater than the width of the largest vehicle used on a dual carriageway. After the accident, Mr. Francisco used AutoTURN to evaluate the speed at which the truck was travelling and the turn radius the driver was using. The Vale S/A safety committee wanted to learn what speeds were acceptable within the safety ranges. He gathered data from the trucking company and from local authorities to make his calculations for the AutoTURN simulation. Engineers at Transoft Solutions have applied extensive research to the relationship between vehicle speed and turning radius and transportation engineers value this unique feature of AutoTURN. The software demonstrates that the higher the speed of the vehicle entering the turn leads to a larger turning radius. Mr. Francisco used the vehicle libraries within AutoTURN to find key measurements for the Mercedes Benz 6×4 truck and redesigned the road where the accident took place. With AutoTURN providing insights on the drive path according to the design speed of the vehicle, he could show what needed to change. Drivers of trucks going to and from the Itabiritos Peak Complex sometimes contend with a lack of visibility on some of the turns and lane widths which are too narrow on some sections of road. Mr. Francisco studied the accident data carefully and showed the Vale S/A safety committee what speeds were recommended for safe transport of the iron ore to the processing facility. 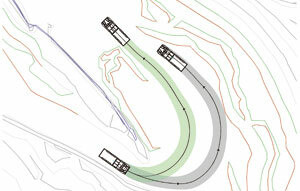 The use of AutoTURN helped correlate the design speed to the drive path. From the early days of AutoTURN, accurate and reliable results and engineering controls have always been in place to give road engineers confidence that their designs were safe. 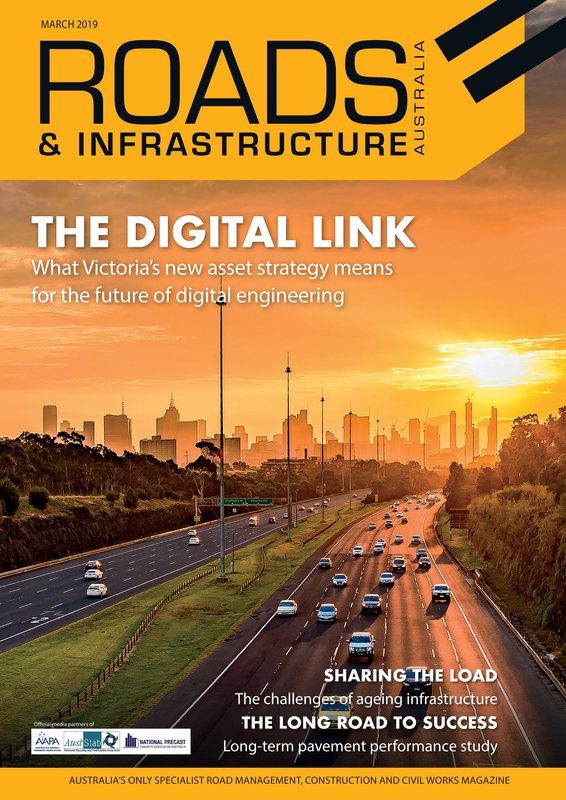 If the software helps companies like Vale S/A operate more safely and efficiently, it has done its job.